Where is my plectrum? 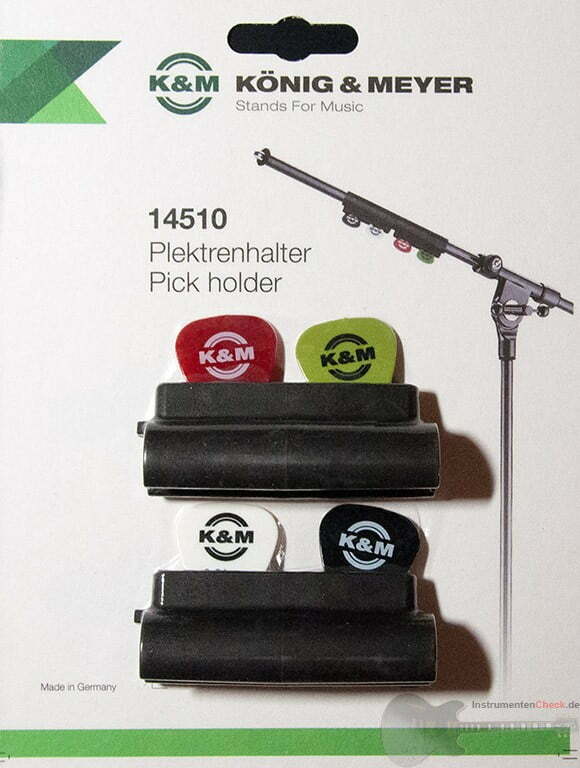 Don’t worry; the König & Meyer Guitar pick holder for microphone stand keeps your picks safely at hand! 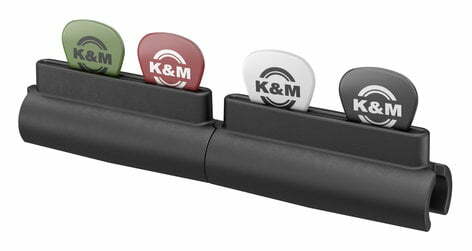 This Guitar pick holder consists of 2 elements; up to 6 picks can be stored together. For larger needs; additional elements can also be added if required. 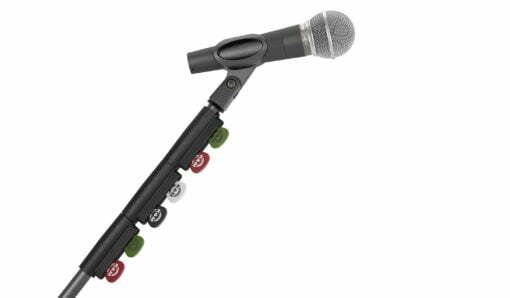 Of course, you can use just one pick holder if required; to save space on the microphone stand. The holders are made of durable plastic and thus “roadworthy” and robust. 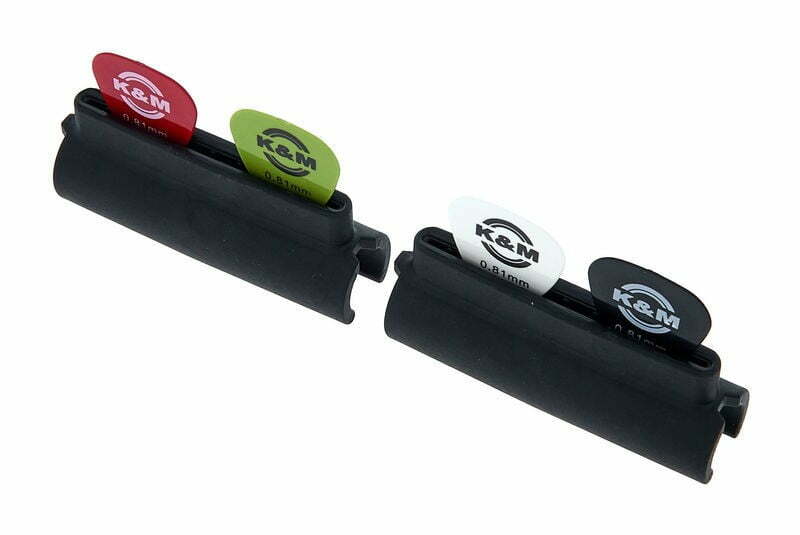 Included in the pack are 4 different coloured picks with a thickness of 0.81 mm. 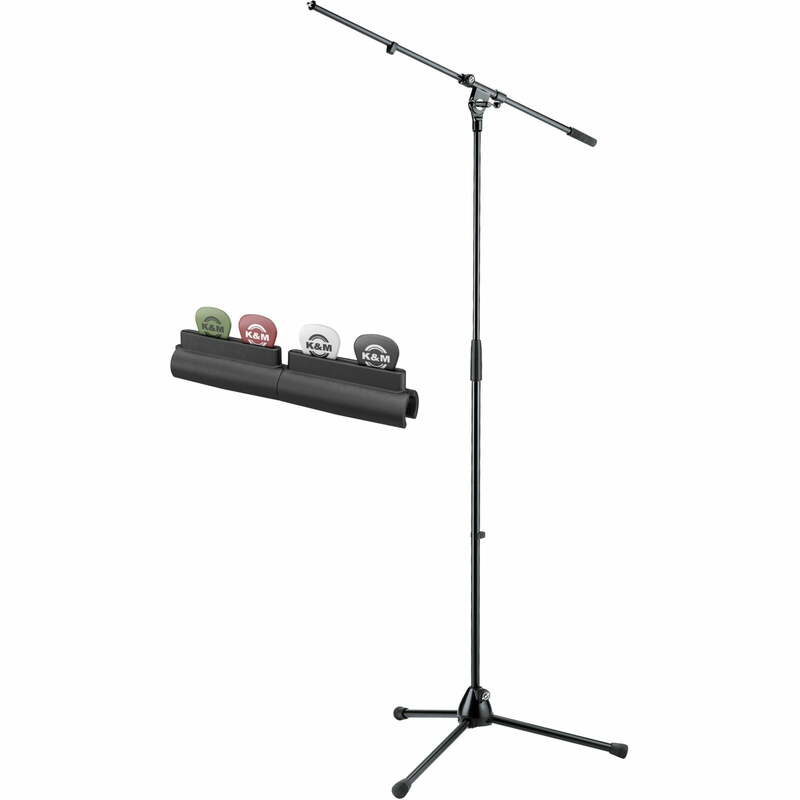 For any Questions about our Chord Boom Arm for Microphone Stand; or for Prices on delivery to the EU please contact us. Or; why not visit our Facebook page and follow us? You can see ALL the latest info as it happens!